Sewer systems constitute a very significant heritage in European cities. Their structural quality and functional efficiency are key parameters to guarantee the transfer of domestic and industrial wastewater to treatment plants without infiltration nor exfiltration. Infiltration of groundwater is particularly detrimental to treatment plant efficiency, while exfiltration of wastewater can lead to groundwater contamination. 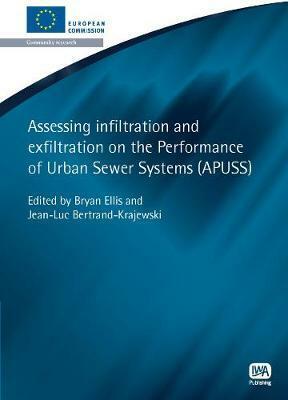 The European research project APUSS (Assessing infiltration and exfiltration on the Performance of Urban Sewer Systems) was devoted to sewer infiltration and exfiltration questions. It was structured in three main Work Areas dealing respectively with i) the development of new measurement methods based on tracer experiments and accounting for detailed uncertainty analyses, ii) the implementation of models and software tools to integrate structural and experimental data and to facilitate data display, operational management and decision-making processes and iii) the integration of economic and operational questions by means of cost estimation, economic evaluation, performance indicators and multi-criteria methods applied to investment/rehabilitation strategies. This final report describes the objectives, methods and main results for each Work Area. 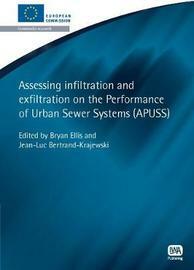 References to detailed methods, protocols, reports and tools are given in this final report which will be an invaluable source of information for all those concerned with the performance of urban sewer systems.